Like the other 5-Spot books, 5 Fun, Free & Fascinating Sights in Portland is not your typical travel guide. The book provides an intimate and often humorous perspective on the Portland Saturday Market, Waterfront Park, The Grotto, Powell’s City of Books, and Forest Park. You can use the guide to enhance your stay in Portland, or if you already live there, use it to become better acquainted with the city. If nothing else, the book gives you a great excuse to get out of the house and check out those places you’ve been meaning to get to since you moved there. 5 Fun, Free & Fascinating Sights in Portland gives you a close-up and personal look at five free sights that are not only interesting and fun to visit, but are also popular with the locals. If you really want to feel what it’s like to be a part of the famous hip and happening Portland scene, you should visit those places popular with the people who live there. You might even get to know some of them, in all their diverse glory. To see a preview of the places described in the book, you can view a YouTube video that shows photographs of each of the five destinations. In addition, the book includes a link to the 5-Spot web page, where you can also connect to the current version of the video. 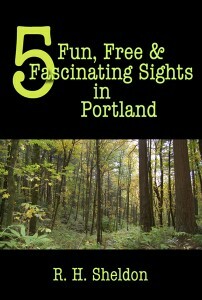 You can order 5 Fun, Free & Fascinating Sights in Portland through Amazon, Barnes & Noble, Apple, Smashwords, and Sony. 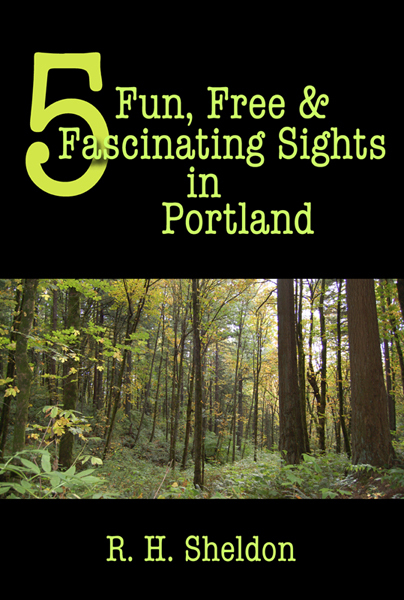 5 Fun, Free & Fascinating Sights in Portland is part of the 5-Spot ebook travel series, a series dedicated to the frugal, miserly, penny-pinching tourist in all of us. Each book in the series describes five free sights to visit in a city or region that is of course a fun and fascinating place worth seeing.